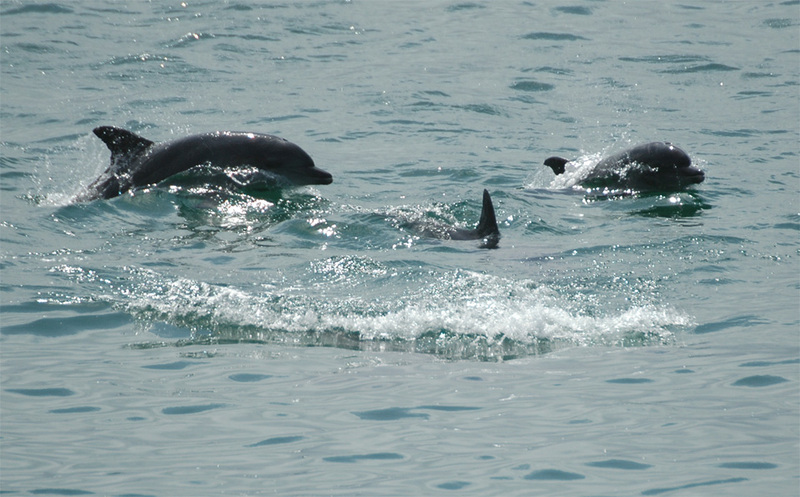 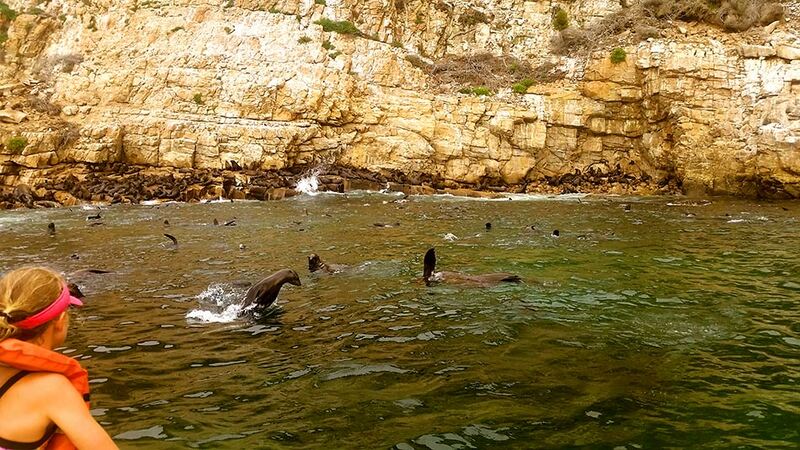 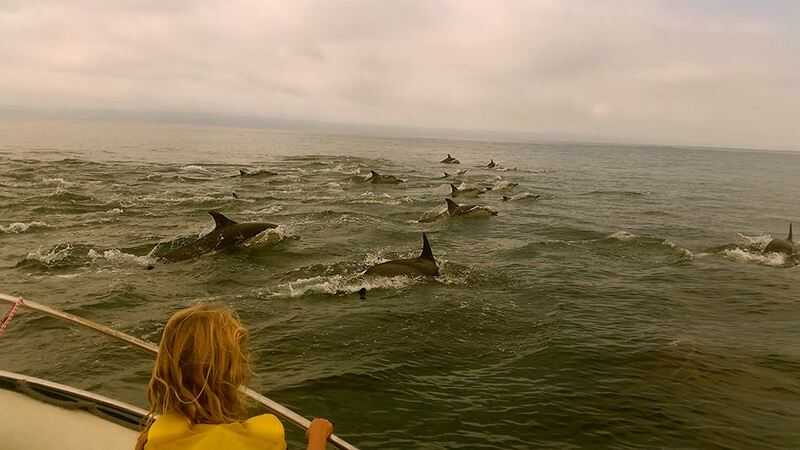 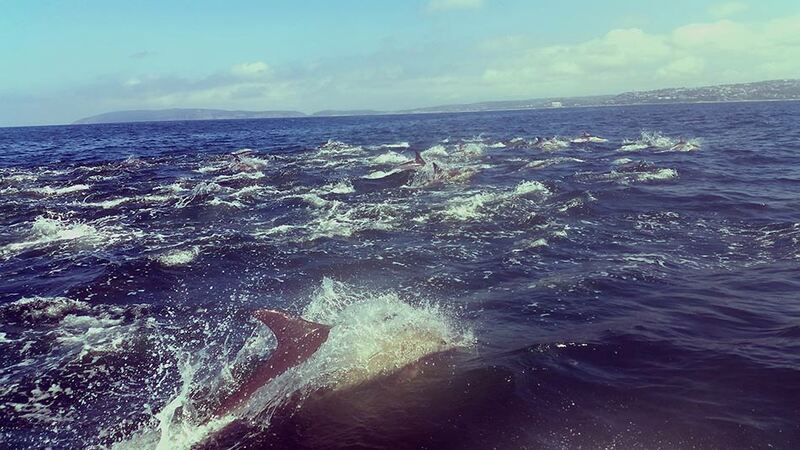 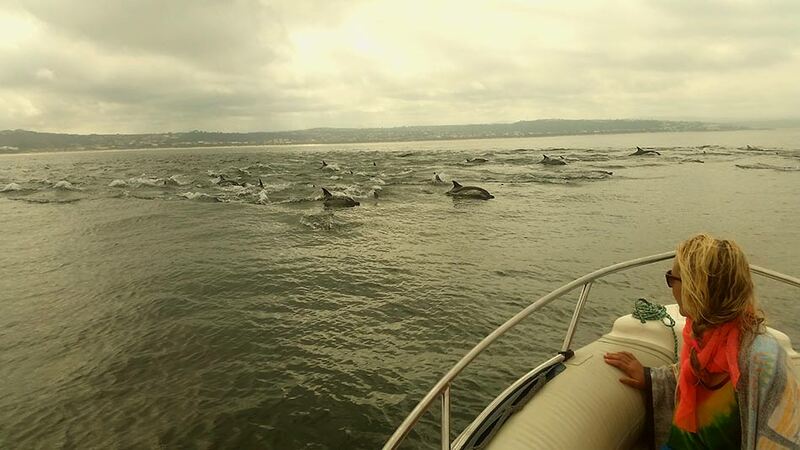 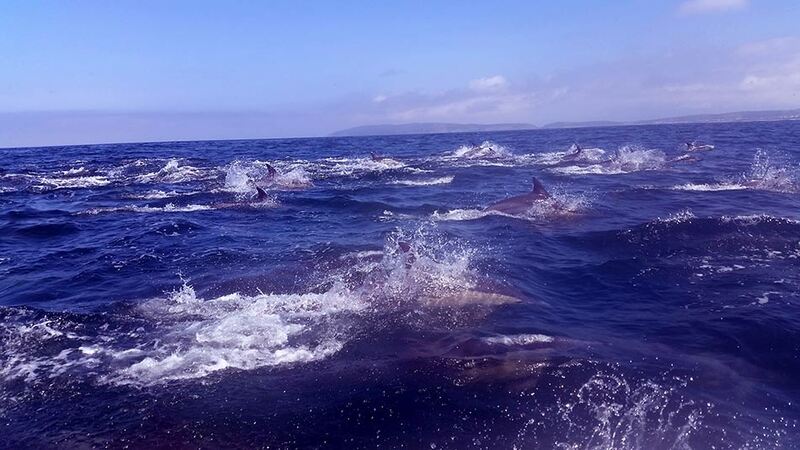 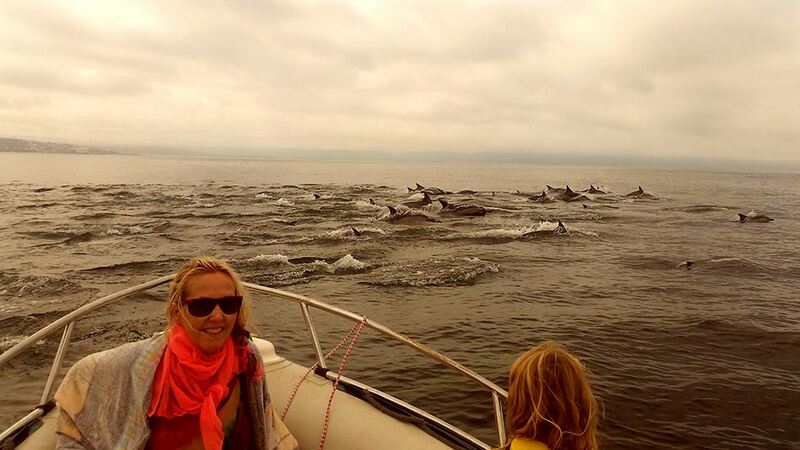 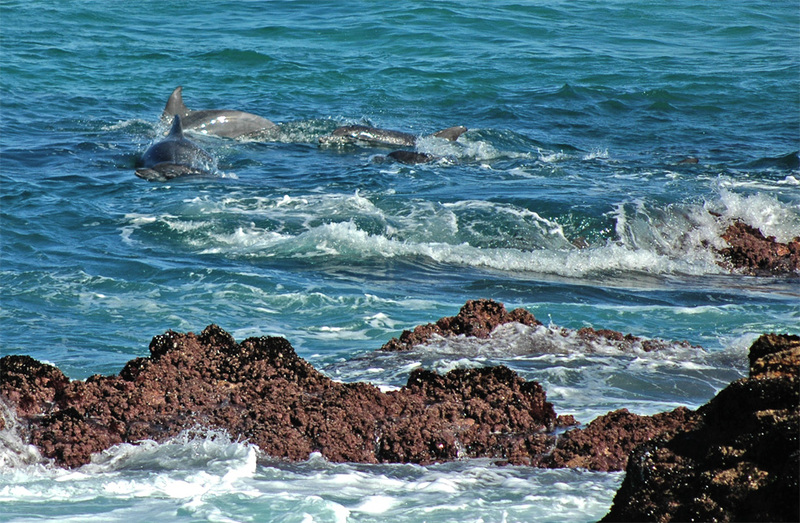 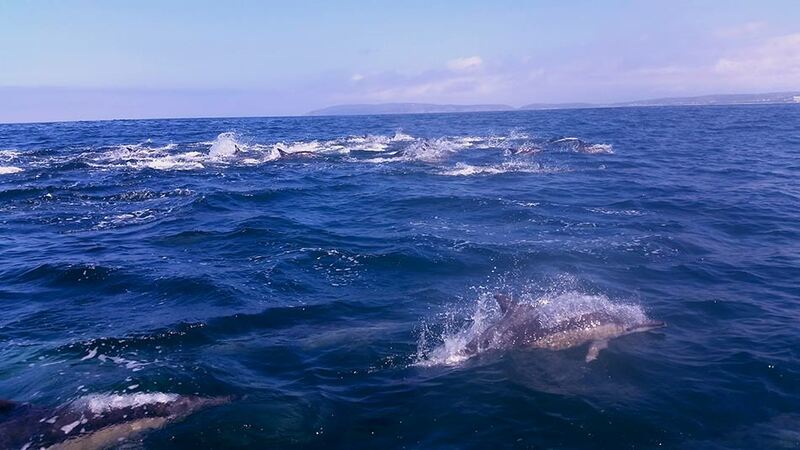 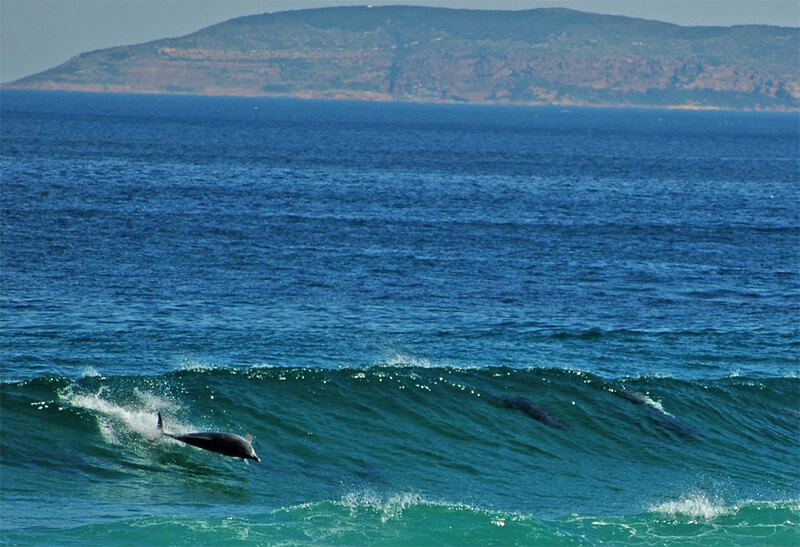 Dolphins in the bay of Plettenberg Bay. 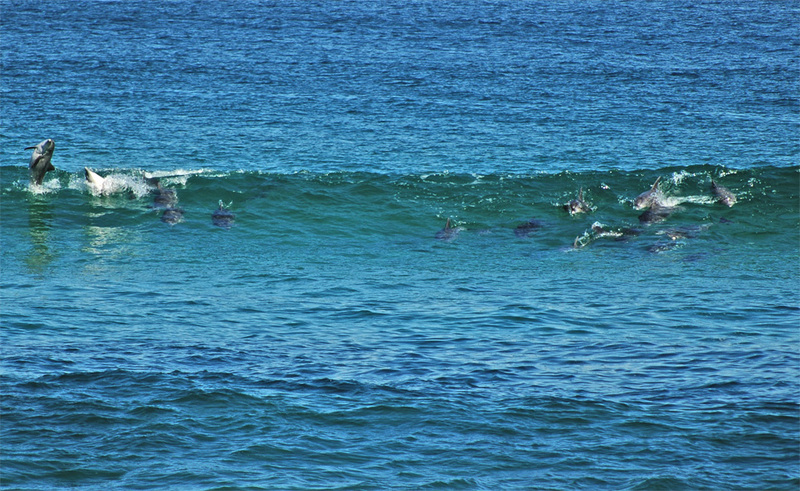 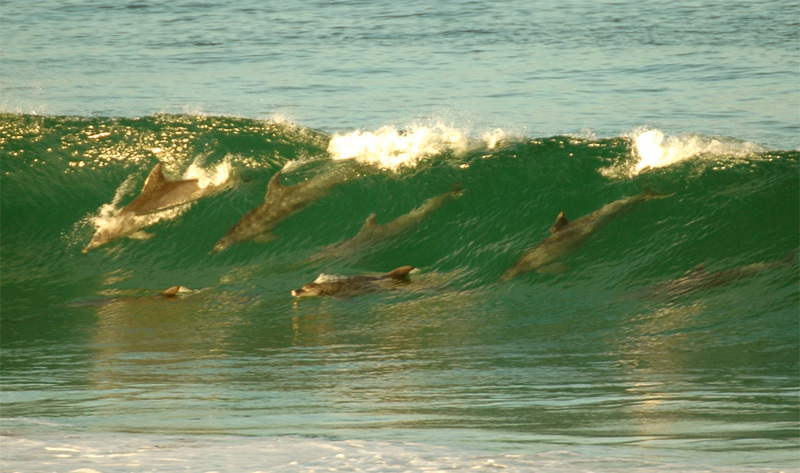 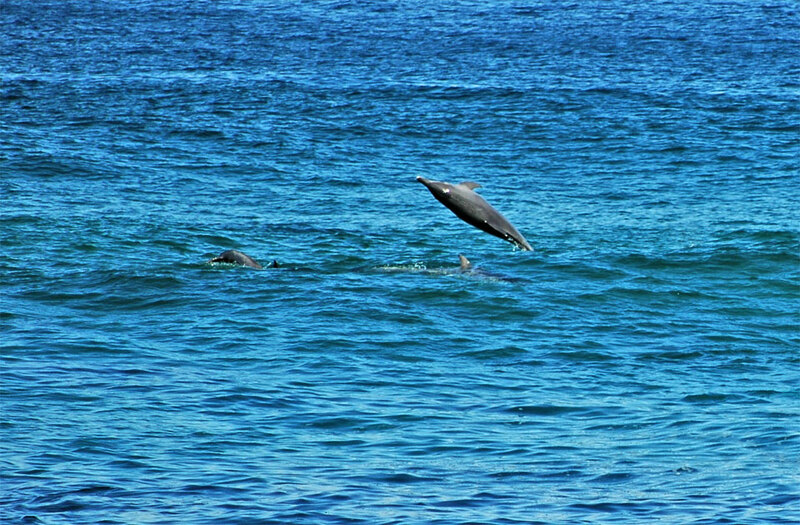 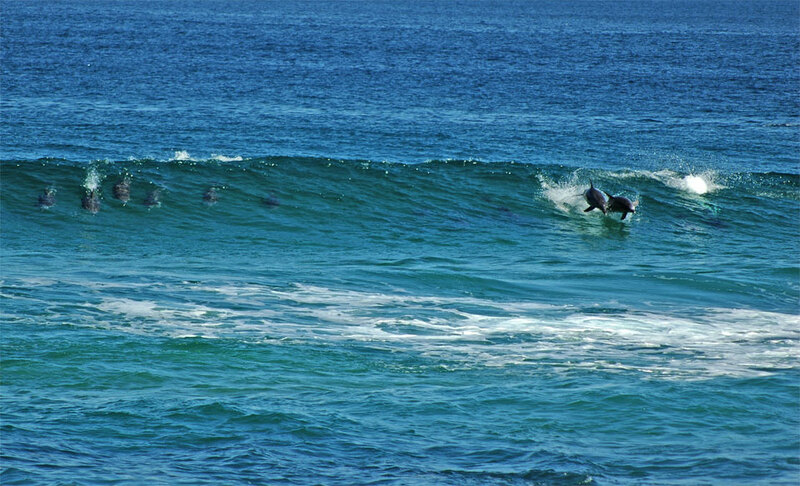 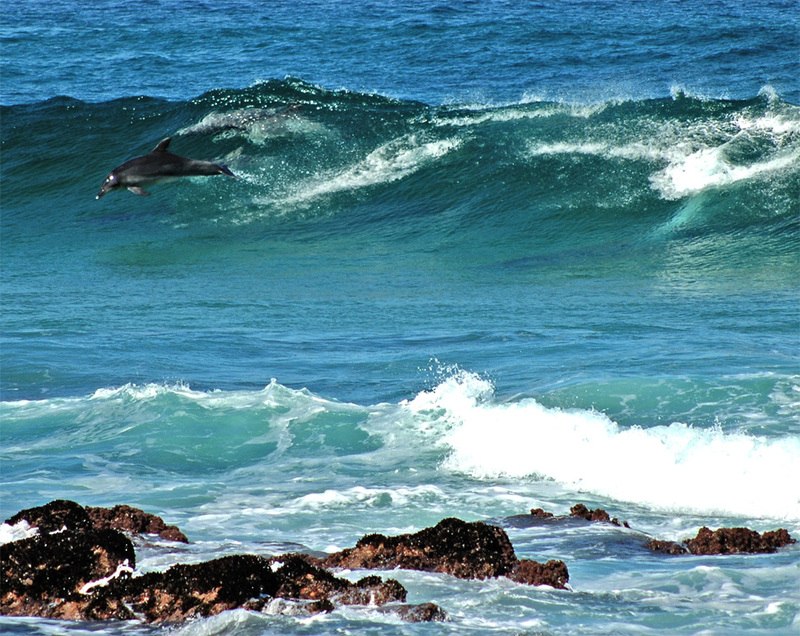 Often you are able to watch Dolphins from the beach as they are surfing in the waves at Plettenberg Bay. 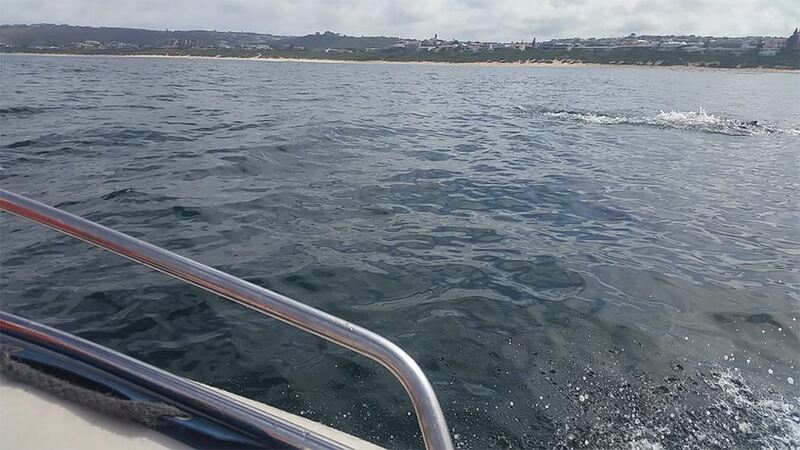 As the mood takes them and the fish swim they are hunting for, the dolphins visiting us in smaller or larger schools in our bay. 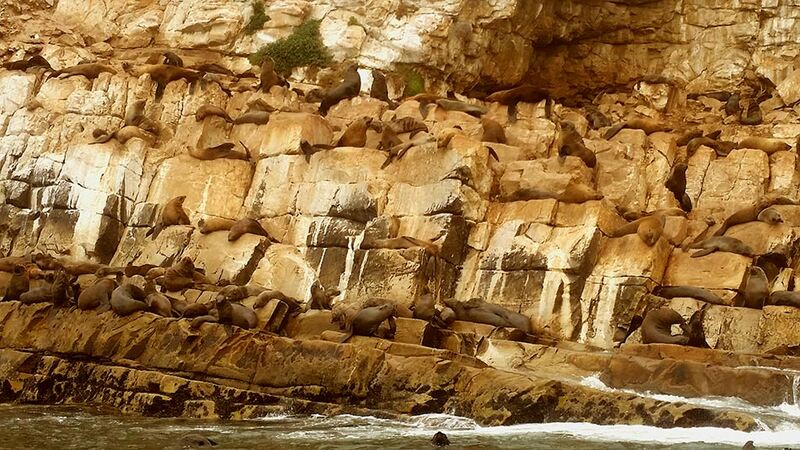 You find 2-3 and also 30-40 and more animals in a school. 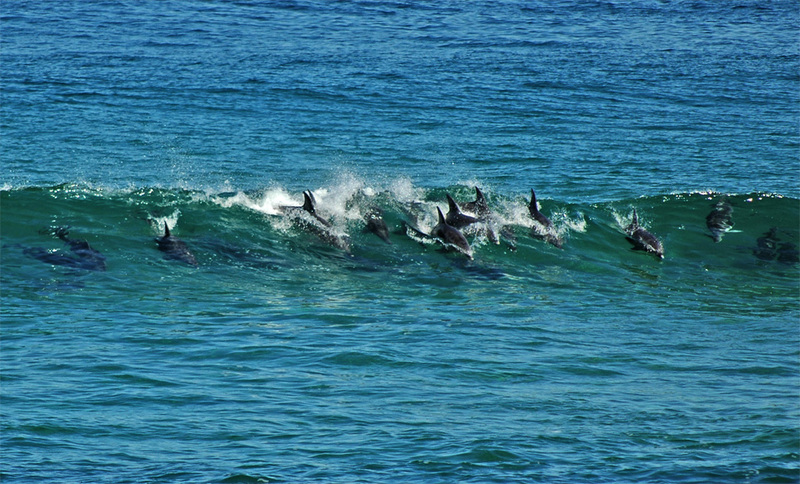 Often they come close to the beach and if the waves are big enough, they surf and they move parallel forward towards the beach with as little as possible of using there own energy. 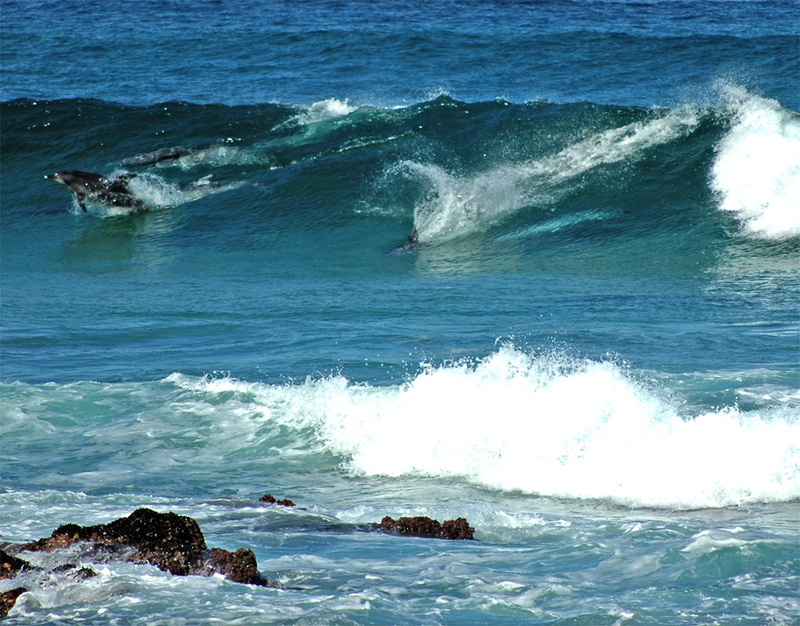 You spot them by good conditions and big waves in the clear water wall of the waves.